There’s nothing more important to us as parents than ensuring our children have everything they need to grow into healthy and happy adults. This includes making sure their diets have all the essential nutrients. If you’re concerned about the nutrition your little one is getting, they could possibly benefit from a supplement. 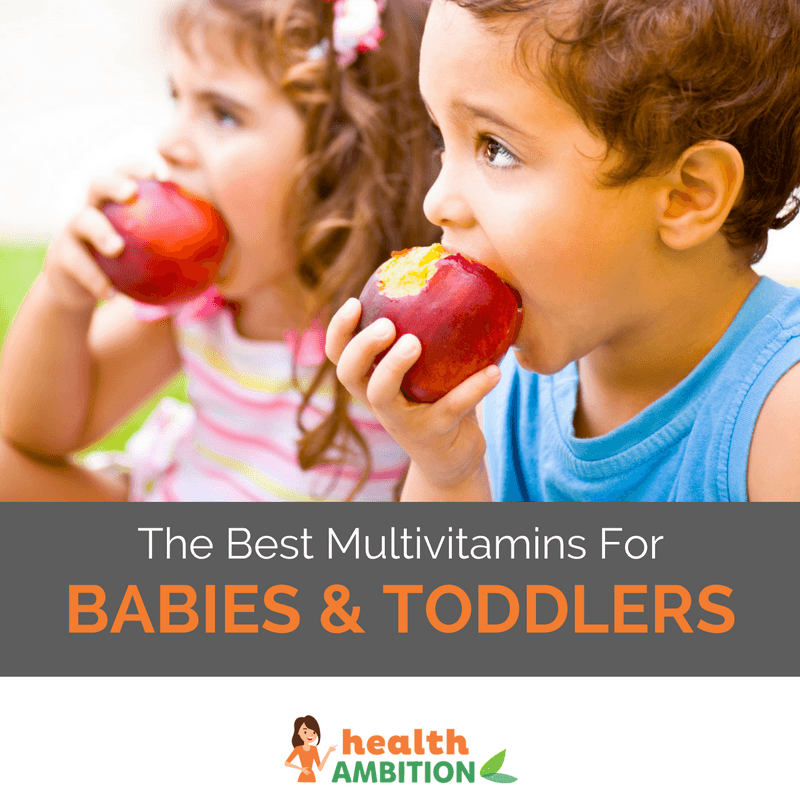 What are the best multivitamins for babies and toddlers? Read on to find out. A naturally sweet grape and raspberry multivitamin, which is free of salt, nuts, lactose and gluten. For children two months plus, these easy to deliver orange drops encourage development of a healthy immune system. Formulated for kids from six months to four years, this mixable powder provides a complete vitamin complex. 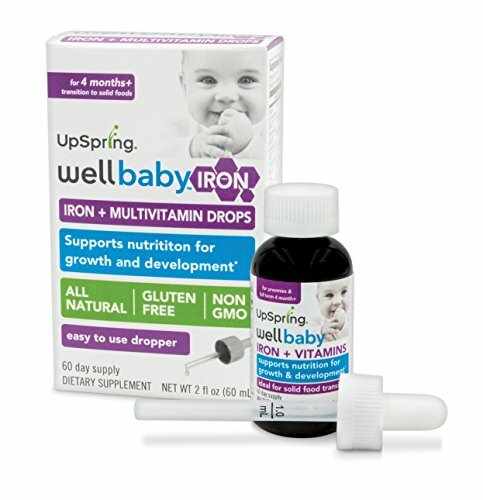 Providing 100% of your child’s daily allowance of iron, this multivitamin is served with an easy-to-use dropper. Easily mixable with drinks or soft foods, like yogurt. Includes probiotics to boost immunity and improve digestion. It’s so important that our growing kids get all of the nutrition their bodies need. From their cognitive development to strong healthy bones allowing them to take those all important first steps, proper nutrition promotes it all. It’s always a worry when considering introducing something new to your little ones, especially something like supplements. Are they really necessary? Can they cause your child harm? There’s lots of research as to whether people should give their children supplements. Most experts agree that taking a daily supplement won’t do your child any harm as long as they don’t take more than the recommended daily amount. Supplements are particularly beneficial for children with food sensitivities and limited diets as they help ensure they get everything they need. Supplements also give peace of mind to parents of fussy eaters. 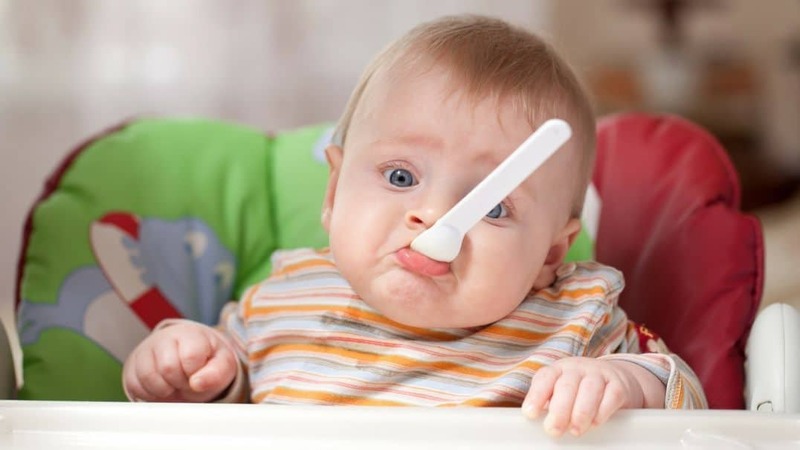 For some, weaning can be a nightmare. No matter how hard you try, you can’t always get them to eat what’s good for them. Formula fed babies tend to get all of their vitamins and minerals from milk especially in the first six months of life. (source) Breastfeeding moms sometimes worry that their youngsters aren’t getting everything from their milk. If for any reason the mother isn’t getting complete nutrition from her diet this can affect the breast milk. If your baby was born prematurely or at a low birth weight, there’s a chance that that he could need a vitamin supplement. If you think any of these scenarios apply to you and your family, check with your pediatrician to find out if a multivitamin supplement is a good fit for your needs. Most adults have difficulty getting sufficient amounts of vitamin D, and only small amounts are transferred through breast milk. Therefore, it’s often recommended that babies take a vitamin D supplement if they are breastfed exclusively. 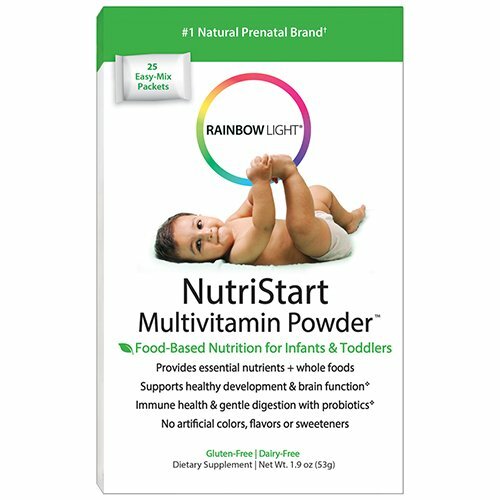 What Kind of Multivitamins are Available for Babies and Toddlers? There are lots of options available for children of all ages. It’s important to choose a product designed for the age of your child to supply the correct dose of vitamins and minerals. Of course I must stress that supplements are not a substitute for a healthy, nutrient-packed diet. Keep trying to give whole foods like fruits and vegetables to your little one to form good eating habits that will last for life. 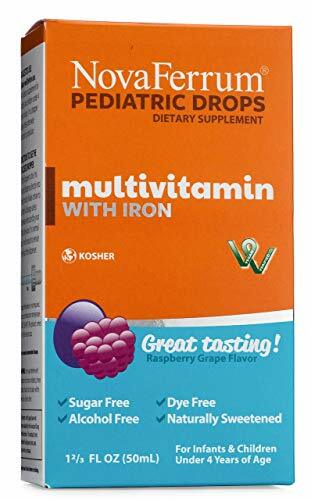 Nevertheless, I’ve looked at all of the vitamin supplements available for infants in order to help you make an informed decision on the best multivitamins for babies and toddlers. I’ve chosen five products as my favourites and listed all of their pros and cons as well as sharing my overall choice. Remember babies are constantly growing and under 12 months they often have sensitive stomachs. Something may work great for one child but cause an upset stomach in your baby. Therefore it is often a case of trial and error when it comes to supplements and kids. If you have any concerns, don’t hesitate speak to your doctor. This is our final baby vitamin supplement which also comes in a liquid form. 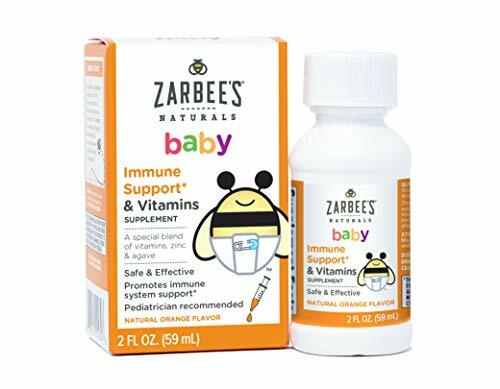 This supplement comes with all essential vitamins and minerals for your little one. It is free from all allergens including gluten soy, nuts, and dairy. It is also vegan friendly and certified kosher. It provides 50 servings per bottle and comes in at a reasonable price. The only small downfall is that many parents who have babies suffering from colic have said it has made their child worse which may be something to consider. This is another liquid supplement for younger children. This one comes with a syringe so that you can measure out exactly what you need for your child. It offers very in-depth instructions on the amount you need to give to each age group. This makes it really clear and straightforward. The price is fair, however it only offers 14 servings per bottle. It can be used from 2 months of age. Unfortunately this product doesn’t offer as many vitamins and minerals like other products. It only contains vitamins A, C, D, E and zinc. 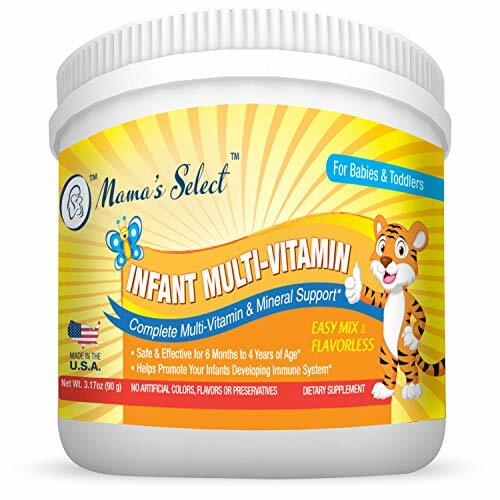 This baby and toddler vitamin supplement comes in a powder form which you can mix into milk, water or juice. The price is reasonable for a 1-2 month supply per container (depending on the age of your child). It has all of the essential vitamins and minerals needed for your growing child. The one thing that let this down is the very bitter taste which isn’t easily covered by milk. This product comes in a liquid form with a simple dropper to measure out the dosage. This is a non GMO, gluten free mix of multivitamins with iron and vitamin D3. This product is let down by the price as it is very expensive especially considering this is something you need to give to your child on a long term basis. This is the first infant vitamin product which comes in the form of a powdered sachet. It includes all essential vitamins as well as a blend of antioxidants. This product is free from allergens including gluten, soy, nuts, fish and shellfish. In the past, I used sachets of teething powders with my daughter which I found really convenient. You can keep sachets in your purse so you always have some with you. Plus they aren’t as messy as liquids can be. The one downside about sachet medicines is the price. These are a little bit more expensive than some of the alternatives but at the same time they won’t break the bank. This product states they are to be used from 6 months to 4 years. I’m a little suspicious of this, as any parent knows, dosage for most things between those two ages is usually completely different. With a liquid, at least you can measure the volume suitable for the age of your child. Unfortunately with these sachets, it’s not possible. There may be a risk of overdosing vitamins. Therefore, with toddlers who can take the full sachet in one go, these could be a great option. However, those with younger babies may want to look at other alternatives. I really like NovaFerrum brand simply because not only is it giving your child everything they need but it’s also free from all allergens. This relieves some of the worry associated with introducing something new into your baby’s diet. It’s also kosher which is not something you see with a lot of kids products. 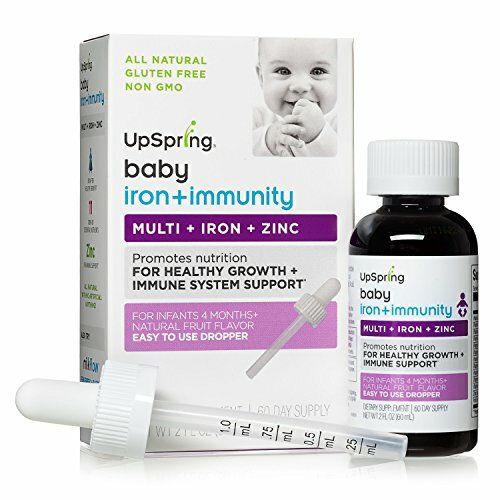 Overall, this is my pick for the best multivitamin for babies and toddlers. Let me know if you give any of these products a try or if you prefer something else. It’s always great to get feedback from our readers. What Are the Best Probiotics for Infants and Toddlers?